The Village Hall is located at 625 Dixie Highway. The hours are Monday through Friday – 8:00 am to 4:30 pm (closed on Saturday and Sunday). What day is refuse/recycle pickup? Trash pickup is every Monday (except if a holiday falls on Monday then pick-up is changed to Tuesday). Refuse should be placed out in a covered container prior to 7:00 a.m. on pick up day but no earlier than the prior evening. (Refuse placed out earlier than the evening before collection day constitutes a nuisance and is subject to fine). Recycling is every other Monday http://mydisposal.com/town/beecher/ Recyclables must only be placed in the container provided by Star Disposal and should be placed out to the curb prior to 7:00 a.m. on pick-up day or the evening before. Glass, aluminum, tin, plastic, newspapers, and cardboard should all be put together loose in the recycling container. My water bill is high this time - what can I check? A small but frequent water leak can quickly add up. Check faucets, a small drip from a leaky faucet can waste 25 gallons in a 24 hour period. Make sure the water softener is operating correctly. Check your toilet for leaks by putting a small amount of food coloring in the tank. If the coloring appears in the bowl, there is a leak in the tank plumbing. If none of these conditions are present, call the Village Hall at 946-2261 for further assistance. Water and sewer bills are sent out on or around the 5th of every other month and are due on the 30th of that month (except for weekends and holidays). Charges for residential refuse collection and also included on these bills. A schedule of rates is available online and at the Village Hall. Do I need a license for my dog? Village ordinance requires that all dogs within the Village must be licensed and wear tags. Dog tags are $10.00 each and must be purchased at the Village Hall by March 15th. After the March 15th deadline, the price of dog tags increases to $15.00 each. Per Village Ordinance, there is a maximum of three dogs per household. It is unlawful to permit any grasses or weeds to grown a height exceeding eight (8”) inches anywhere in the Village. Violators are subject to fines. Yes, a permit is required. A permit request can be obtained online or at the Village Hall. I have a ticket - where do I get information about Traffic Court? Certain curbed streets in the Village prohibit parking on one side due to the width of the streets. Parking is restricted on certain streets for safety reasons to allow emergency vehicles and school buses to make it through. Not all curbed streets in the Village prohibit parking on both sides. The streets that prohibit parking on one side are posted with signs within the subdivision. PARKING REGULATIONS AFTER A SNOWFALL: For a period of twenty-four (24) hours after a snowfall of two (2″) inches or more, it is illegal to park on the Village streets or in any public parking space commonly maintained by the Village in the business district between the hours of 1:00 a.m. and 6:00 a.m. Violators are issued a ticket by the Police Department either before or during snow removal and vehicles that pose a traffic safety hazard may be towed. 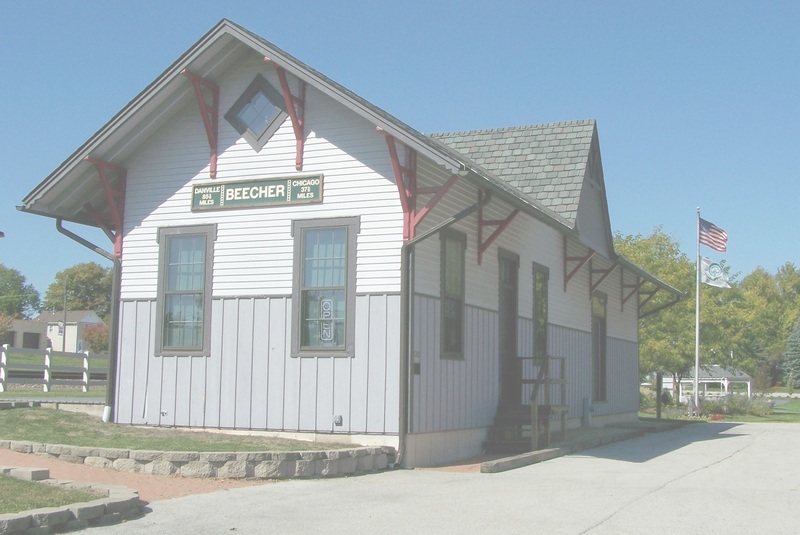 The Village of Beecher does not require a vehicle sticker. Where do I purchase waste bags? Yard waste bags with the Star Disposal or Homewood Disposal logo on it can be purchased at the Village Hall, Walt’s Foods and Beecher Hardware in Beecher. The cost of the bag is the charge for disposal of the waste at a compost site. Yard waste is only collected between April 1st and November 30th of each year.